This week I bring you some Easter genealogy fun. 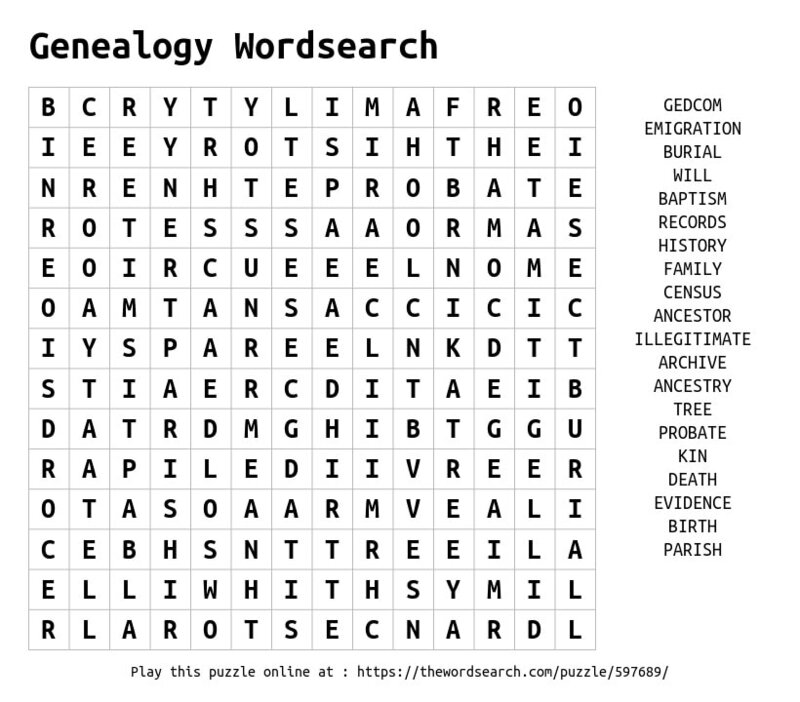 I officially have brain freeze and cannot thing what to blog about so I have made for your pleasure a genealogy based word search. So grab a cuppa and a biscuit and settle down and play away. What were our ancestors reading? Next week is world book week to promote reading especially in kids. These days we pick up our e reader and download the latest books or go to the book shop and get our hands on a proper book. We have books everywhere from the libraries to the shelves at home. We read everything from a good murder mystery to a political thriller to a good paranormal book. But what were our ancestors reading? In 1950 one of the best selling books was Animal Farm by Orson Wells (I prefer Orson’s farm the cartoon series). The book is basically a look at what was happening in 1940’s Europe told through the eyes of animals portraying the main political figures. 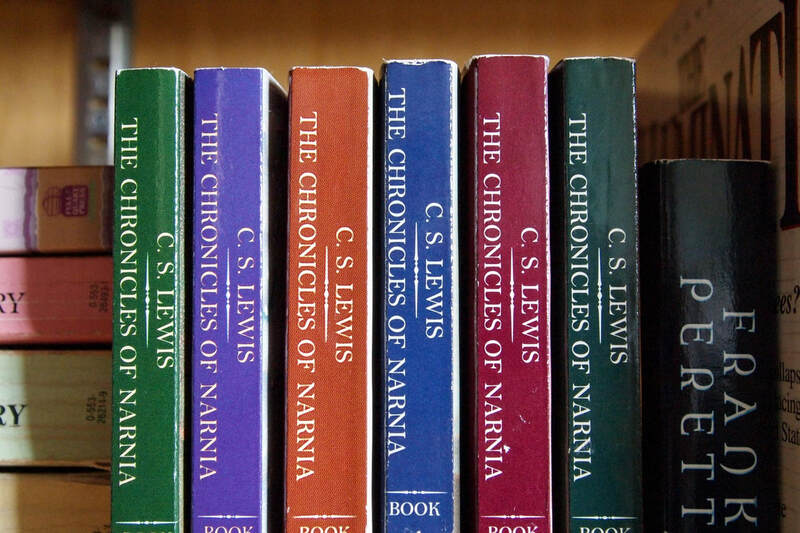 For the younger reader the frankly excellent The Lion, The Witch and The Wardrobe by CS Lewis was published. This is the story of 4 evacuated children who enter another world through a wardrobe and the side of good under the command of Aslan the Lion take on the evil side of the Witch. If we go further back to 1900 the grownups could pick up a copy of The Interpretation of Dreams by Sigmund Freud and for the kids it was The Wonderful Wizard of Oz by L Frank Baum. I’ll admit I’ve never read either but they were all the rage at the time. Maybe my Great Grandparents or Great, Great Grandparents picked up a copy. Let’s go back to 1880 where our ancestors may have settled down to read the latest Mark Twain A Tramp Abroad or for the little ones Carlo Collodi’s The Adventures of Pinocchio. 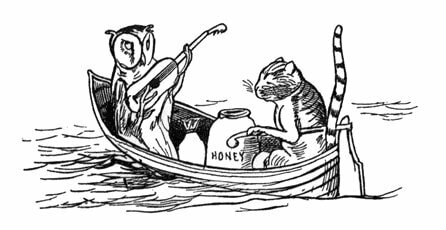 Now in 1870 one of the most famous nursery rhymes was written in the Owl and the Pussycat. For the older reader they could read the latest by the French writer Jules Verne. They could descend under the waves on board the Nautilus and attempt to find the sea monster through Twenty Thousand Leagues under the Sea. The 1860’s saw Wilkie Collins publish the novel the Woman in White which was a good old who done it. If this wasn’t our ancestor’s bag then maybe they would have reached for the new novel by George Eliot The Mill on the Floss which follows the lives of 2 siblings as they grow up. 1850 would have seen people reading for David Copperfield (the book not a person) by Charles Dickens and in 1840 Edgar Allan Poe published his Tales of the Grotesque and Arabesque which was a collection of short stories. 1830 saw the publishing of the novel The Fortunes of Perkin Warbeck by Mary Shelley which considered that Perkin Warbeck was actually Richard of York the second son of King Edward IV. For the children why not the Chronicles of a School Room by Anna Maria Hall. Back in 1820 the novel of the year was Ivanhoe by Sir Walter Scott which is set in medieval Scotland in the 12th century. 1810 could have seen your ancestor’s reading the latest by Percy Bysshe Shelley entitled Zastrozzi which is a romance set in Germany. Now some of these books are still loved today by some even if they just know the books by film and TV adaptations but they do still live on and can be read by us today. I suppose what we should remember in all this is that we have access to books and we can all read them when we want. This wasn’t a luxury our ancestors may have had. They may not have been able to read and books would have been too expensive for them to buy. The central library in Sheffield didn’t open until 1934 so before then you would have to buy your books. So this world book day why not settle down with a book you’ve being bursting to read and lose yourself in the pages. Now will it be Freddy the Frog, Don’t Forget the Bacon or Eric Carle’s seminal work The Very Hungry Caterpillar! It’s the year 1797 and Britain is about to be invaded for the last time by a foreign force. The location, the towns of Fishguard and Goodwick in Pembrokeshire, Wales. The invaders, the French. Now anyone who knows the area will tell you it’s a quiet place with a nice walk along the parrog at Goodwick and the old harbour of Fishguard. At the time of the invasion the area was deeply agricultural (as it is today) and small fishing vessels would have been out and about. So how did this come about? Well it’s was a kind of past time that the French had a go at the British and we had a go back. On the 22th February 1797 it was the French’s turn. They thought if they invaded the people of Britain would join forces with them against the nobility and land owners in an attempt to gain more rights. The French people had successfully done this in the late 1780’s early 1790’s during the French Revolution. The French were under the command of Colonel William Tate, who incidentally was of Irish American ancestry, and disliked the British as some of his family were killed during the American Revolution. What better way to get back at us than to invade. He had 4 ships loaded with around 1400 soldiers, around 600 regular troops and the rest were ex and part time soldiers as well as criminals. He anchored his ships 2 miles from Fishguard and the landing parties began. There was panic amongst the people as you can imagine. They took up arms under the command of Thomas Knox who was a local landowner. They used any weapon they could find including the scythes from the land and what guns they had. The French were busily looting in the surrounding areas and farms where their main target so they could get food and steal what valuables they could find. In one instance a French soldiers shot a grandfather clock thinking it was a person. 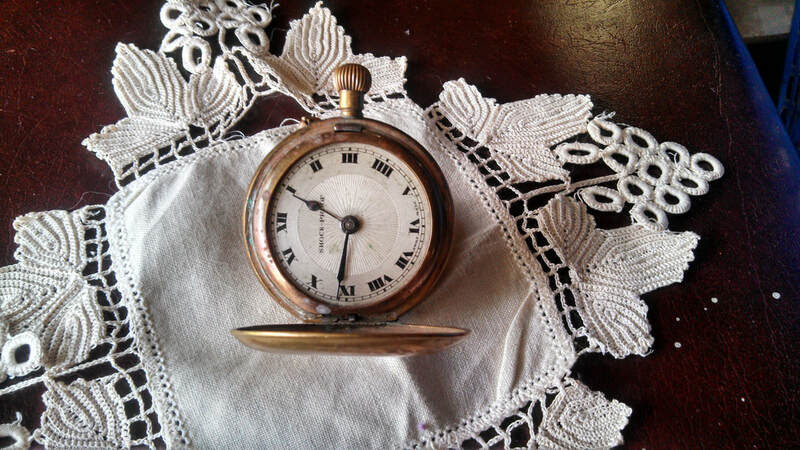 As a side note the clock still exists with its hole. By the second day of the invasion it was reported that many of the French soldiers were rather merry on the wine and beer they had found. The locals had had enough and moved to where the French were with their makeshift weapons and began capturing them. It’s said that the local shoemaker Jemima Nicholas who was in her late 40’s captures 12 soldiers using only a pitch folk and marched them back to Fishguard. She allegedly later brought 2 more to the town, one under each arm (well she was described as a well-built lady). Now Colonel Tate was at an impasse. His ships had returned to France as he was convinced of his success, but the locals were closing in on them. He then got the shock of his life when he saw British armed soldiers heading in his direction. What he actually saw was Welsh women in the traditional costumes who from a distance could be mistaken for soldiers by their hats (there is some debate about whether this is true but I love the story). As a result the Colonel surrendered that night to the British commander Lord Cawdor. The next day the people of the town gathered to watch the capture of the remaining soldiers. So by 4pm on the 24th February 1797 it was all over. The jovial French set off to walk to Haverfordwest and the prisons and churches (which were used as an overflow prison). The prisoners remained in the area until the following year when they were returned to France, Tate included, under a prisoner exchange. So in just 3 days the last invasion of Britain was over. The French were defeated and no one would try and invade our lands again. Jemima Nicholas was the heroine of the day and she lived until 1832 when she died aged 82. If you go to Fishguard there is a tapestry depicting the events of the invasion. It was made in 1997 and is designed along the same lines as the Bayeux tapestry. It can be seen in Fishguard town hall. There is also a video made of the recreation of the capture of the French which was done in 1997 (I’ve seen some of it, but homework called! ), the lady playing Jemima certainly gave it her all. ​I know it’s an unusual birthday to celebrate but in the field of genealogy/photography Henry Fox Talbot is an important man. He was born on the 11th of February 1800 in Dorset, England. He could be regarded as one of the fathers of modern photography as the practices he developed allowed for the modern processes we use today to be developed. Now Henry did not invent photography but he did develop new methods for making more stable pictures. He discovered ways to treat the glass plate in the camera so that with the long exposure times required the image would not be lost if too much sunlight entered the camera lens. Thus hours of work were not lost. Also he developed a process which allowed a photograph to be taken in bright sunlight in just a few minutes. His greatest development was discovering a process which would allow a negative image to be printed multiple times on to paper and thus allow for mass availability of an image. So if you can make mass images from one negative you can sell pictures of important events such as the monarch seated on their throne. Also if the event was outside images could be taken quickly so an image of a disaster could be taken for future reference. 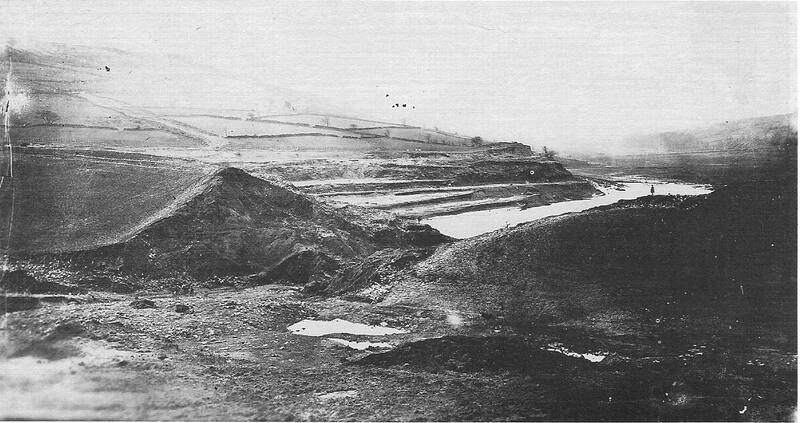 For example from 1864 there are photos of the devastation caused by the Great Sheffield Flood. 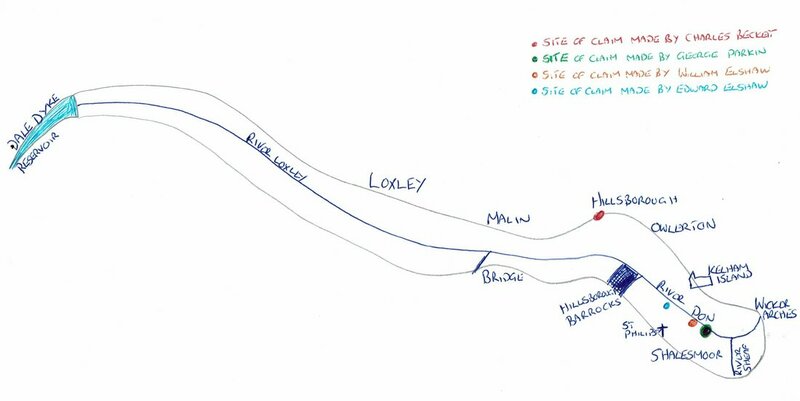 This could have been examined to find out why the dam wall failed and thus may have prevented another dam from collapsing. It should be pointed out that other scientists were also making the same developments and other innovations at same time and thus who invented the processes first is debatable but Henry Fox Talbot’s work in the field cannot be ignored. So I’ve discussed in the past how important photography is to genealogy as through old photos of our ancestors we truly get an image of the past. But one way that photography helped out ancestors and thus modern genealogists was through post mortem photographs. Now this does not mean the images taken at crime scenes or of murder victims. It was the taking of photographs of loved ones after they had died so you had a permanent memento of them. This is an image of a girl with her parents taken after she had died. Now some may not like the idea of such a photo being taken, but this could be the only way for the parents to remember their daughter. If you didn’t know you would think it was just a family photo, but in this image if you look closely you can see something is not quite right. The girls image is totally crisp and sharp where as her parents have a slight blur to them as if they didn’t remain perfectly still for the exposure of the image. Post mortem images were very often tastefully done, especially with young children. In these images the child is usually placed in such a way as they just looked like they were having a nap either in bed or in their parent’s arms. Although there are exceptions to this. There is a picture form the 1940’s of a Syrian bishop seated on his throne at his own funeral. So to all the men and women who had a hand in developing the camera, negative, lens and final photograph thank you. You may not have realised it at the time but you opened the world of genealogy up by letting us see the faces of our ancestors no matter what stage of their life they were in.